It was the biggest weekend of the French social season. The end of the Cannes film festival, the formula one Grand Prix in Monaco and the start of the Roland Garros tennis tournament in Paris – a difficult choice for jet setters as to which event to attend. So, even if you could have afforded it, which one (or ones) would you have gone to? First, a few words on the French social season. It all kicks off in late November or early December with the Debutants’ Ball – traditionally young girls of 18 and over from « good families » who are ready to « put it about » on the social circuit and find themselves a half decent breeding partner to continue the dynasty. Of course, French aristocracy is not quite what it once was (that’s the price you pay for several revolutions and chopping the heads of the ruling class) so; pure aristocratic bloodlines have to be matched and mingled with rich commoners. I guess that if you are a Princess, a Duchess or just a plain Lady, in these hard times, you have to accept the fact of being married to a lottery winner, to be kept in the style to which you are accustomed. The French debutants’ ball takes place at the very posh « Hotel Crillon » in Paris over the last weekend in November or the first weekend in December. Over the past few years, French chic has not quite been what it used to be, so the organisers have had to invite « foreigners » – a couple of years back, the « star » of the ball was one of Bruce Willis’s daughters (how low can you go) – so, after you have chosen your future « mate » at the ball; the French social calendar is then one long round of Paris- based fashion shows, charity galas, exhibition openings, equestrian events and receptions, that lead inevitably to the Cannes film festival, the Monaco Grand prix and finally, back to Paris for the Roland Garros tennis tournament. And come mid June, when the last balls bounce off the centre court at Rolland Garros, the social season is at an end and unless you have been invited to a society wedding – it is time to pack up your Parisian pied à terre and head for the Riviera. So, let’s jet down to Monaco for the Grand Prix – Those socialite websites that give the low down on high society happenings, noted that this year at Monaco, there were far more Russians than French – well, the Ruskies are getting their first ever Grand Prix in 2014 and I guess they want to know just how things are done – or as Lenin said « what is to be done. » – Reports in the « society press, » say that Russians were paying up to $30,000 a night for a « basic » suite overlooking the racetrack in Monaco – hang on though, Monaco doesn’t have a racetrack – the Grand prix takes place on the sinuous city streets, making Monaco far more exciting than other Grand Prix, where the cars drive round a loop in the middle of nowhere. – Actually, come to think of it Monaco doesn’t even have a beach. Yes, this legendary Mediterranean paradise does not have even the most minuscule stretch of sand where a tired tax exile might unroll their towel and fry in the sun. In French, Monaco is sometimes referred to as “le rocher” meaning, the rock – and because Monaco is a rock this in turn means that space is at a premium and the only way to build is upwards – Looking at Monaco from any angle is a uniquely angular and rectangular, box-like experience – its all high rise apartment buildings. Were you not conscious that you were in one of the world’s most exclusive enclaves you might as well be gazing on one of the myriad of high-rise social housing estates that surround Paris. Of course, I exaggerate, there are palm trees everywhere and the azure blue of the Med and a port crammed with Yachts – each one a floating palace – blue or black port holed hulls surmounted by layer upon layer of gleaming white and glistening chrome. An ostentatious, oceangoing testimony to the owner’s wealth power, and pretention. These craft though are not titanesque maritime monoliths – they are built with sleek, science fiction-like deep space design – against the angular backdrop of Monaco, the yachts are a pleasing marriage of curves and slopes. And there are seemingly hundreds of them, huddled up against each other, cheek-by-jowl in the port. Their owners may be millionaires, Monaco might be a tax haven, but the port has all the charm and incestuous intimacy of a vast trailer park. Of course, once the jet setters, oligarchs, drug dealers and celebrities have edged their yachts into the port, there is actually nowhere to go and very little to do. Like a family outing to the seaside on a rain-soaked English summer’s day, where you spend hours sitting in your car staring at the sea, in Monaco, you are pretty much a prisoner on board your yacht. You might take a trip to he casino, or you might take a stroll along the seafront, in the case of the latter though, you have to mix with all the day-trippers who have come to oggle at the display of wealth. If you want a beach in this part of the world, you have to drive down to Menton or cross the Italian border and head for San Remo, in both cases however you can banish all thoughts of stretching out on white sun kissed sands – the French Riviera from the Italian frontier right down to Nice is one long stretch of stones and pebbles, chock-a-block with bodies – quite unsuitable for a family beach holiday. – no space to move and no sand until you get to Fréjus, but even then, space is at a premium and all dads wishing to build sandcastles for their offspring are seriously frowned upon – using premium beach space for such frivolous activity. The veritable lack sandcastles along the French Riviera very much encapsulates the whole ethos of the place. From Nice, right through to Menton, you are not here for an activity-based holiday, the whole point is to chill out, to be seen but above all, to tell the folks back home that you are spending a few days on the Côte d’Azur – world famous for its millionaires, with whom you will not be rubbing shoulders though. The millionaires are holed up in expensive hotels, where the price of one night’s accommodation will probably buy a life’s worth of holidays in the grotty campsite where you have pitched for a fortnight. 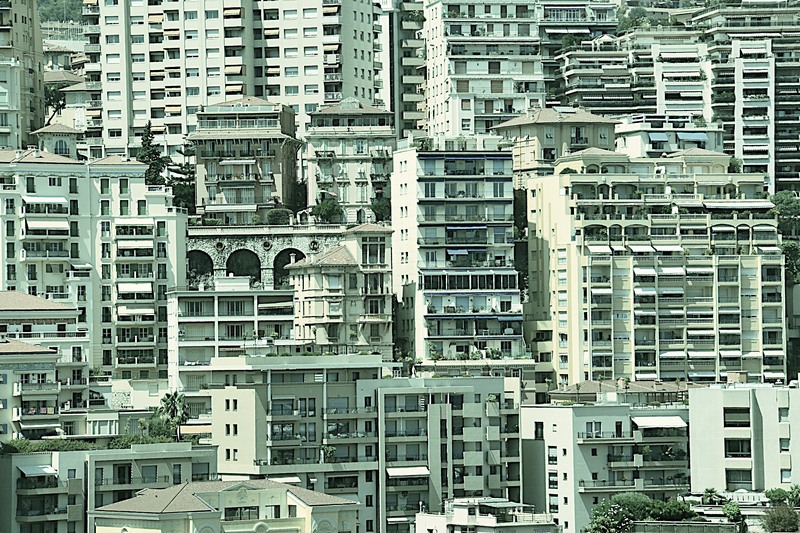 The French Riviera isn’t as chic as it used to be. Invented by the English aristocracy in the nineteenth century, there were a few good reasons for heading south for the summer, the most obvious being the weather. 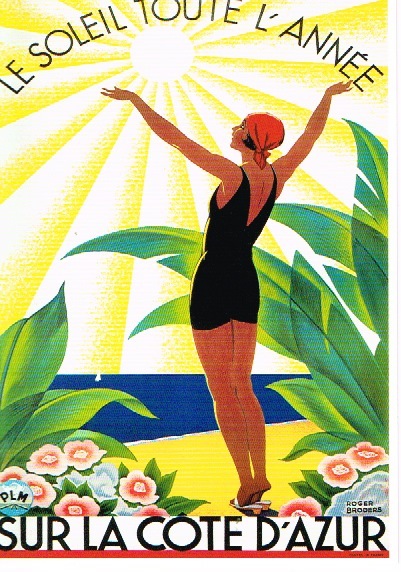 Why spend a wet summer on the English Riviera, (Torquay) when you could get guaranteed sunshine on the French Riviera. (315 days a year on average) I suppose you could add to this, the relative “douceur de vie” in France and of course the moral dimension. Edwardian Britain was a stuffy place – if you wanted some “fun” – you’d cross the channel. As a young Prince of Wales, in the “naugthy nineties” the future Edward VII enjoyed the unfettered pleasures of Paris and the French Riviera, much to the chagrin of his old mum – Queen Victoria. There was also another reason for heading south – in an age when mass tourism did not exist, the south of France was unaffordable and inaccessible for most Brits – the risk of wealthy British aristocrats having to mix with peasants was therefore minimal, even impossible. 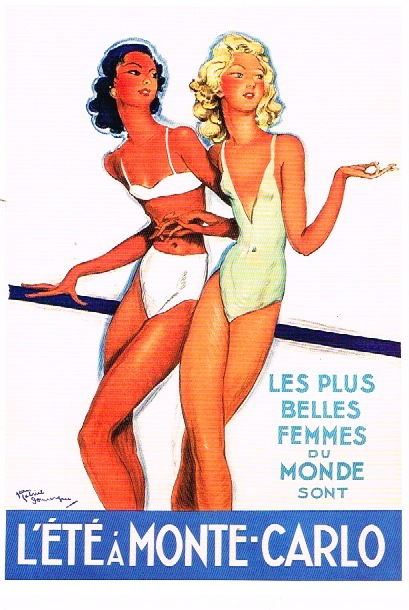 Of course, the French Riviera lost its charm when it became accessible for everyone and because everyone wanted a slice of the “high life”, they all high-tailed it down to the Riviera. 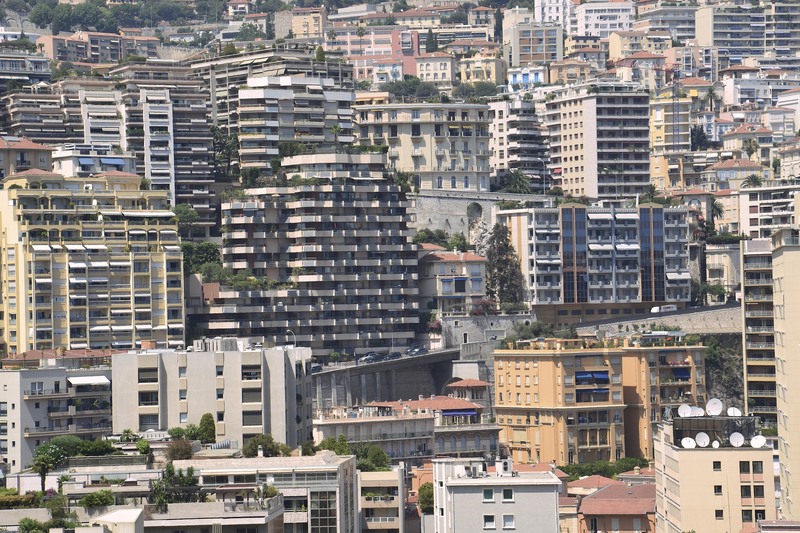 Nice is not nice anymore – full of Russian millionaires and prostitutes from eastern Europe. As for the other Riviera towns … too many happy campers nowadays. St Tropez for example is surrounded by nothing but campsites and the town is full of nothing but day-trippers hoping to spot a celebrity or two. The Côte d’Azur is also full of poseurs – the kind of people who hire a millionaire yacht for the day, then sit out on deck sipping champagne in full view of (and they hope under the admiring gazes) of the tourist hordes who file past in slow moving, sweaty droves along the quayside. Back at Monaco – where we stared. Here is a question. When is Monaco not Monaco? When it is Monte Carlo. What is the difference though? Well, the whole place is the Principality of Monaco ruled over by the Grimaldi family. The current Prince – Albert lives in a “Disney” style palace, protected by Playmobil soldiers, overlooking Monaco. Monte Carlo is that district in Monaco situated around the Casino. I stand to be corrected on the non-beach in Monaco. I didn’t find one. Perhaos you know better. Posted in TRAVEL, Weekend and tagged French Riviera, Monaco. Bookmark the permalink. I always wondered if anyone was ever really interested about what happens in Cannes, exception made of the “festivaliers” themselves! Most boring reports on the TV, where the rewarded actresses systematically pretend being surprised and weep when they’re handed the Palm… Rubbish!